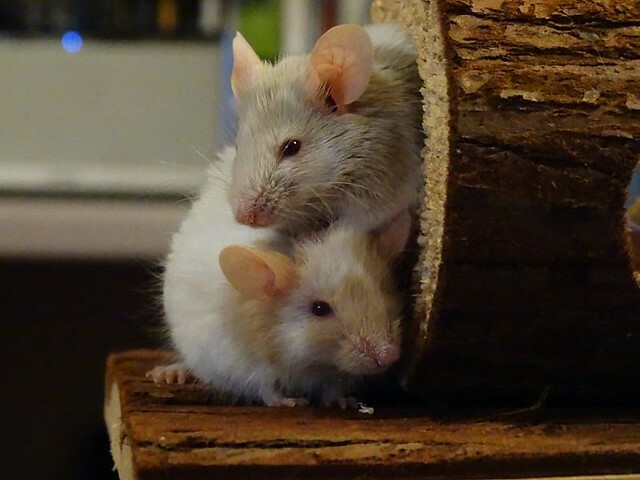 Basil was a much loved mouse who lived with us with his brother, Pumpkin. We adopted them from an animal charity when they were so tiny. He was sad when Pumpkin passed but soldiered on, giving us even more of his love and attention. Sadly he had the same, probably genetic, condition that Pumpkin did. Neither of them reached their first birthdays. They are now living together, their bodies in the tulip bed, with our previous baby, Colin. Basil and Pumpkin can now be brothers properly again and run free together. Miss them so much. We are not planning on getting any more mice for a little while now as we have lost three in less than a year and its all a bit much. I just wanted to thank the loving a supportive community here and let you know that I won't be around any more until we decide its time for more mice. Thank you all. I'm so very sorry to hear of Basil's passing. He was a much loved little guy. Take care.